Dr. Nathan Mathews earned his BS in Neuroscience at the University of Michigan in Ann Arbor MI in 2010. 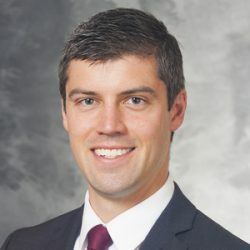 Nathan earned his MD at the Medical College of Wisconsin in 2015. Dr. Nathan Mathews completed his PGY-1 internship year at Aurora St. Luke’s Medical Center, Milwaukee WI.